The Light City Penang, a new metropolitan waterfront living in Penang. 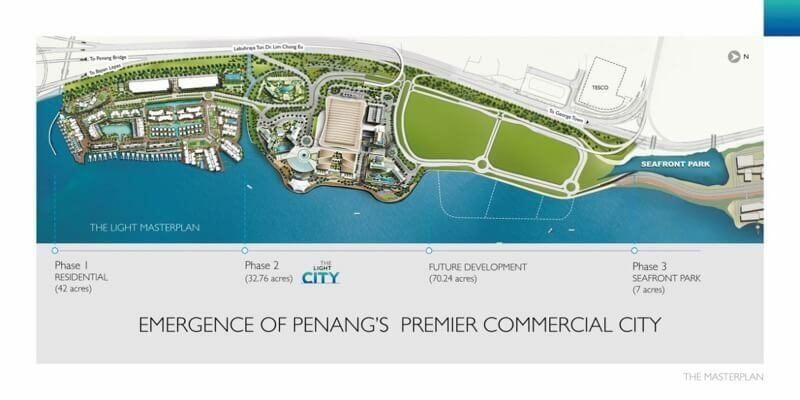 Brand new project by IJM Perennial Development, a joint venture between IJM and Perennial Real Estate Holdings Limited with land size of 152 acres, encompasses the Penang Waterfront Convention Centre (PWCC), retail outlets, hotels, office towers and residential units. 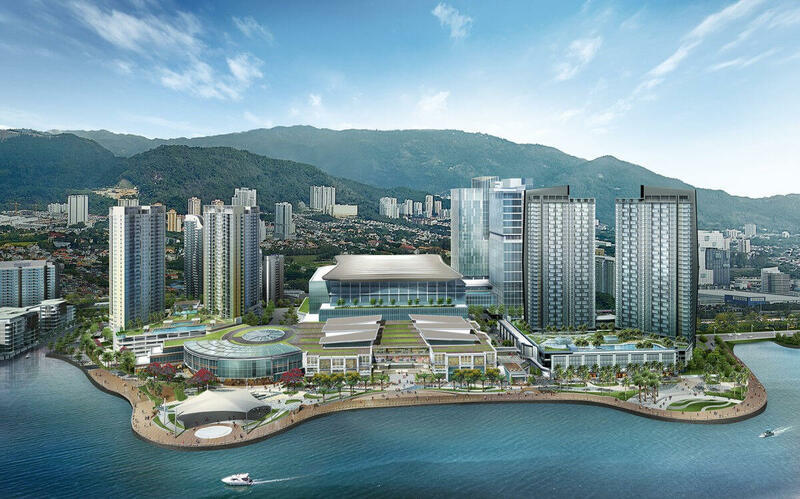 The Penang Waterfront Convention Centre that will offer a floor area of about 270,000 sq ft. 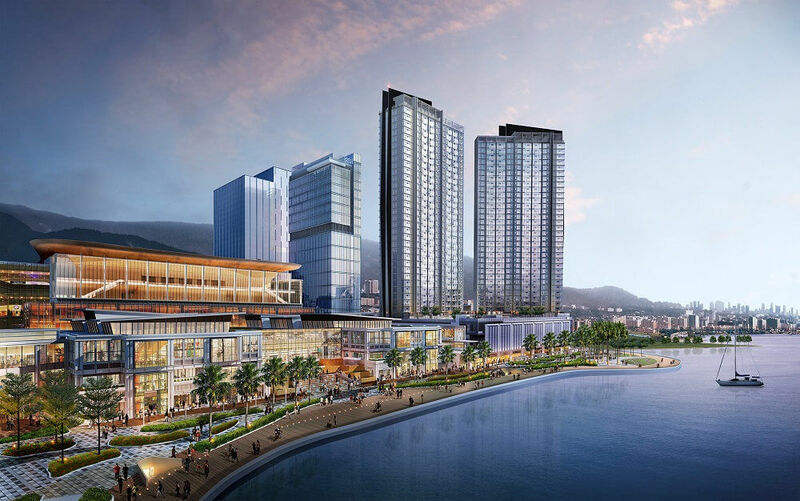 The convention centre is poised to become the largest in the state and will likely be a choice venue for international events on Penang Island. Property Type : Integrated Mixed Development with retail, hospitality, commercial, and housing components. 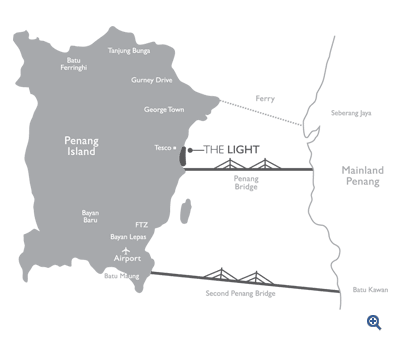 Located on the island’s eastern coast line beside the majestic Penang Bridge,The Light City Penang is readily accessible from other parts of the island and mainland via the Tun Dr Lim Chong Eu expressway and the Penang Bridge. Popular locales such as the Unesco World Heritage city of George Town, Sultan Abdul Halirn Mu’adzam Shah Bridge (Second Penang Bridge) and the Penang International Airport are a short drive away. Phase I will house the residential component (42 acres), Phase II the commercial/retail sector (103 acres) and Phase III the Seafront Park (7 acres). The luxurious waterfront living enclave of Phase 1 consists of six parcels of high-end abodes made up of The Light Linear, The Light Point and The Light Collection I, II, III and IV with 1,177 units in total. The Light Collection III offers large duplex townhouses (from 3,143 sq ft) and condominiums (from 2,164 sq ft) while the Light Collection IV presents luxury seafront bungalows (built-up of 7,018 sqft) and condominiums (1,991 sq ft). Fully renovated and furnished show units are available for viewing. The Light’s Phase 2 features Waterside Residence, a pioneer high rise set on 4.27 acres of freehold land. It encases three residential blocks that stand 17, 25 and 33 storey high. Waterside Residence offers 256 units with sizes ranging from 1,055 sq ft to 1,270 sq ft and in two or three-bed room layouts. 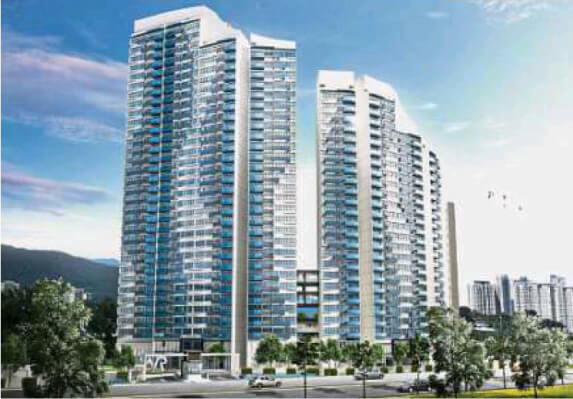 Each unit is priced from RM767,000 and comes with two to three parking bays. Basic amenities such as a jacuzzi, swimming pool, gym, reading room as well as storage lockers are available within the property. Among the newest properties open for registration are Mezzo and Essense, each standing high with dual tower configurations. Mezzo will stand at 34 storeys with 456 units while Essence will peak a tad higher at 37 with 315 units. Those living within The Light City will not run short of retail conveniences because the development will have a five-storey mall that provides up to 1.5mil sq ft of gross floor area. Directly connected to the mall and PWCC will be two luxury hotels standing tall at 37 storeys with up to 745 rooms, to be operated by international brands, as well as a 28-storey prime office tower with 370,000 sq ft of net lettable area.